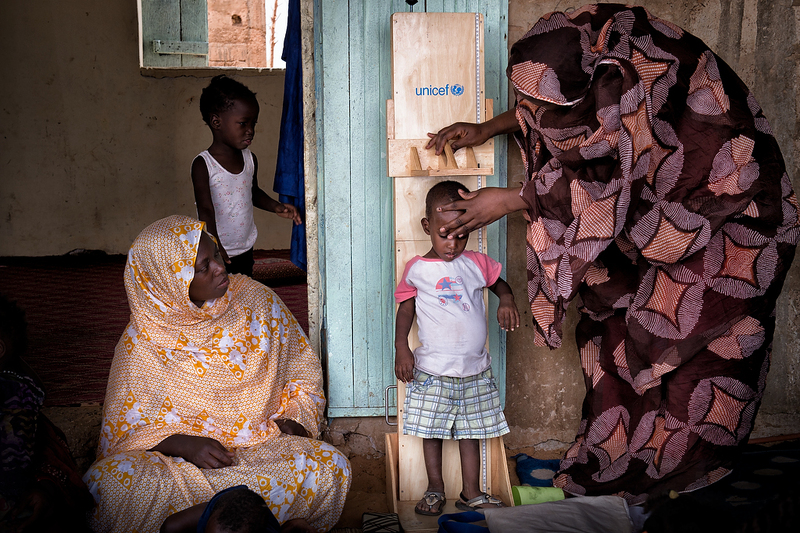 A community worker undertakes anthropometric measurements of the child during the child development session for mothers, a UNICEF programme implemented by its partner MASEF in Tidjikja, Mauritania. 200 million children under five in the developing world are not fulfilling their potential for development. Because of poverty, under nutrition, micronutrient deficiencies, and learning environments that do not provide enough responsive stimulation and nurturance, children are developing more slowly, or failing to develop critical thinking and learning skills. This limitation in early development contributes to late school entry, poor school performance, and ultimately, limitations for success later in life.